Compliant all M6 thread 3D printer: The nozzles used M6 thread, same as MK8 MK7 UM2 CR10 etc. 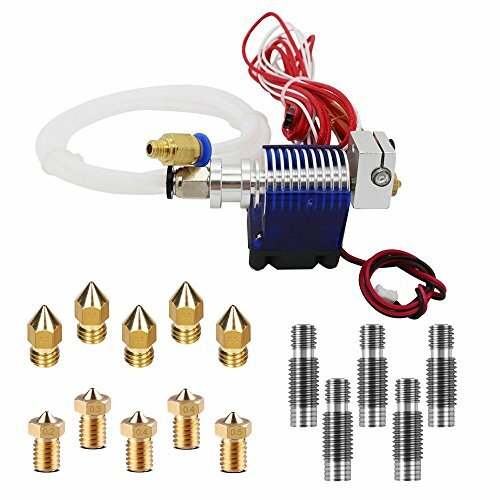 Package include: All metal v6 j-head hotend full kit + 10 pcs extruder brass nozzle print head + 5 pcs stainless steel nozzle throat. 12V/40W NTC heater, avoid NTC burn and break frequently, 304 stainless steel material nozzle throat and high quality resistance whose temperature can up to 280°C, 12V high speed fan, lose heat quickly. Compatible with all 1.75mm e3d v6 makerbot 3d printer. 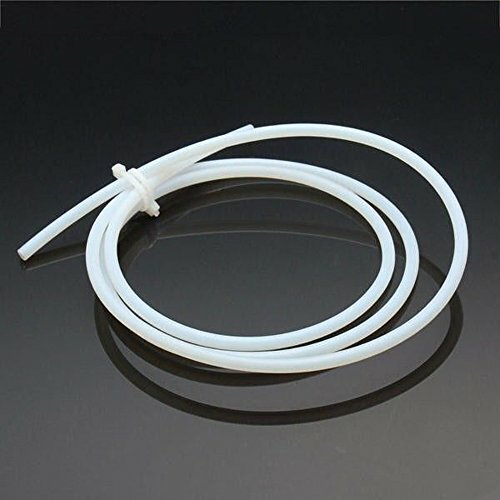 Nozzle and tube connect seamless, prevent material leaking and blocking. 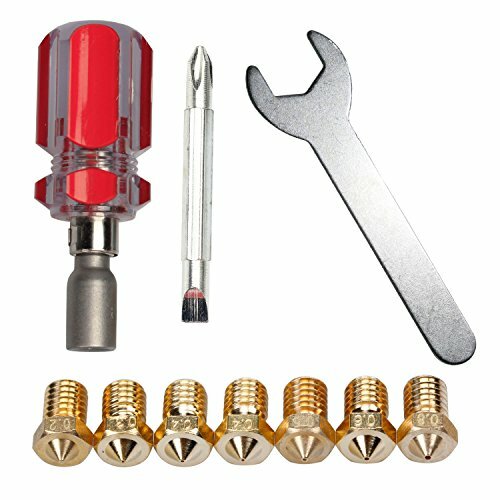 Easy to install, NTC connector with terminal, you can install directly(Hotend is equipped with NTC3950 thermistors). Temperature range (Degree F): -454 to 500. Excellent resistant to acids, alkali and all kinds of organic solvents: ASTM D543. High lubricating ability and non-stick. Raw materials meet FDA requirements per FDA 21 CFR 177.1550 for use with food contact surfaces. Excellent electric property and long life. 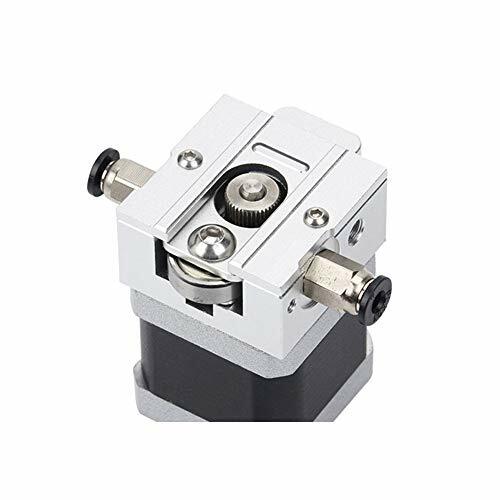 Widely used in electronics, chemicals, medical and industrial. Multiple sizes to your choice.